The Las Vegas Business Press had an article on Saturday (link here) written by Valerie Miller entitled "Big trademark lawsuits become common in Las Vegas courts." The article describes the "surge" of trademark and copyright infringement lawsuits involving Las Vegas companies. Most Las Vegas residents get their telephone service through Embarq, the reincarnation of Sprint (of course, as many will also tell you, a rose by any other name smells the same). 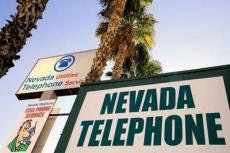 What many do not know is that there is a second telephone company in Las Vegas -- Nevada Telephone Co. (website temporarily disabled, which gives you an idea of how successful business has been). 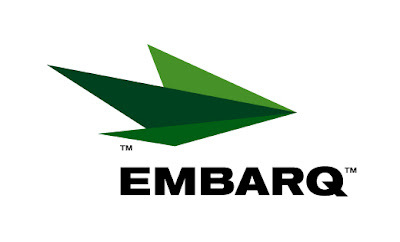 On October 29, 2007, Embarq Holdings Company, LLC filed a trademark infringement lawsuit in the U.S. District Court for the District of Nevada against Robert A Jankovics, Nevada Utilities, Inc., Embarq and Embarq Central Telephone Company. See Embarq Holdings Company, LLC v. Jankovics et al, Case No. 2:2007cv01442 (D. Nev.). Jankovics is the manager of Nevada Utilities, Inc. which does business as Nevada Telephone Co.
At issue is a sign bearing the name "Embarq Marketing Division" with an airplane logo at Nevada Telephone’s headquarters. Embarq claims that the sign is confusingly similar to Embarq’s jet logo and that the proximity between the Embarq name to a sign for Nevada Telephone will cause consumer confusion. Embarq holds the trademark for the mark EMBARQ (for telecommunication services), which was registered on July 10, 2007 (date of first used claimed as May 17, 2006). Jankovics says he has removed the sign and logo in response to Embarq’s demands, but does not believe he infringed upon Embarq’s trademarks. The sign was present because a company named Embarq Marketing Associates, which owns a business selling sexually oriented materials, rented space in the building now owned and occupied by Nevada Telephone and Jankovics let the tenant keep the sign up. As for the other two entities that are defendants in the lawsuit, according to information on file with the Nevada Secretary of State’s office, Embarq Central Telephone Company was incorporated back on August 14, 2007. Jankovics is listed both as the company’s registered agent and secretary. On the same day, Jankovics filed a Nevada service mark application for the mark EMBARQ CENTRAL TELEPHONE COMPANY. Jankovics claims he was trying to help out Embarq by incorporating the Embarq Central Telephone Company and applying for the service mark for the same name, which Embarq declined to purchase despite Jankovics’ offer to sell it for one dollar. Central Telephone Company, the former Sprint operating company, has filed fictitious firm names in Clark County to do business as "Embarq." If you do a search on the Nevada Secretary of State’s website (link here) for the officer name ROBERT JANKOVICS, you can see that Jankovics has incorporated or organized several Nevada entities under various names relating to phone service across the valley. You can also view the companies for which he (or his wife, Anita) serves as resident agent by clicking here and here and here. I personally like the name of one of Jankovics’ other companies (which was dissolved on April 13, 2007) – Disembarq. Very clever. The company behind the Blue Man Group is suing some people behind a show that is allegedly confusingly similar to that of the Blue Man Group’s show. On November 26, 2007, Blue Man Productions Inc.("BMPI") filed a copyright infringement lawsuit in the U.S. District Court for the District of Nevada against Uptowne Productions, Inc., Kraft-E Events, LLC, Kevin Kraft, and Larry C. Vladetic. See Blue Man Productions, Inc. v. Uptowne Productions, Inc. et al, Case No. 2:2007cv01566 (D. Nev.). Vladetic is an officer of Uptowne and manager of Kraft-E.
BMPI’s lawsuit alleges that the defendants produce a live theatrical show that incorporates the character and other intellectual property of BMPI. BMPI sent a cease and desist letter to the defendants last April, but apparently the defendants continue to produce the show. Vladetic claims that he is only running a "booking agency," which booked only one show before receiving the cease and desist letter. BMPI owns several registrations for the mark BLUE MAN GROUP, including for entertainment services in the nature of live musical and theatrical performances which was registered May 15, 2001). 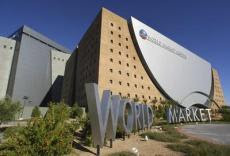 Most Las Vegas residents and most furniture businesses nationwide know about the World Market Center – the behemoth group of buildings located near Downtown Las Vegas which are occupied only two times a year for one week each time for one of the largest furniture shows in the country. On February 7, 2007, Cost Plus Management Services, Inc. ("Cost Plus") filed a trademark infringement lawsuit in the U.S. District Court for the District of Nevada against World Market Center Venture, LLC ("WMC"). See Cost Plus Management Services, Inc. et al v. World Market Center Venture, LLC, Case No. 2:2007cv00156 (D. Nev.). At issue is the name "world market" by WMC. Cost Plus holds federal registrations for the mark WORLD MARKET for, among others goods and services, furniture and retail store services featuring general merchandise ("market" disclaimed"). Cost Plus alleges that WMC’s use of the "world market" name and logo is likely to cause confusion with Cost Plus’ registered marks and has damaged Cost Plus’ business, reputation, and goodwill. Cost Plus also holds several registrations for the mark COST PLUS for retail furniture stores services and retail store services featuring general merchandise (here and here). WMC is also facing another trademark challenge at the USPTO. WMC filed a trademark application for the mark WORLD MARKET CENTER on September 1, 2004 for four classes of services including conducting trade exhibitions, leasing trade exhibition space, construction of trade showroom facilities, and providing general-purpose facilities for trade shows. 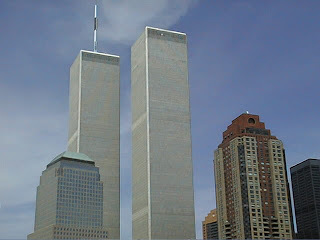 The mark was published for opposition on January 4, 2006; however, on May 30, 2006, the World Trade Center Association (owner of the WORLD TRADE CENTER mark) filed an opposition. See World Trade Centers Association Inc. v. World Market Center Venture, LLC, Opposition No. 91171390 (T.T.A.B). The action is currently suspended until March 31, 2008, while the parties apparently pursue negotiations. Embarq – Embarq has the upper hand here although I doubt the company will get the $75,000,000 that the Justia database indicates Embarq is seeking. While it may not be able to stop Jankovics from working near some business with the name Embarq, he can be stopped from taking any actions that associate his telephone services with the name Embarq. I would imagine that Embarq will be keeping a close watch on Mr. Jankovics’ companies containing the name Embarq. 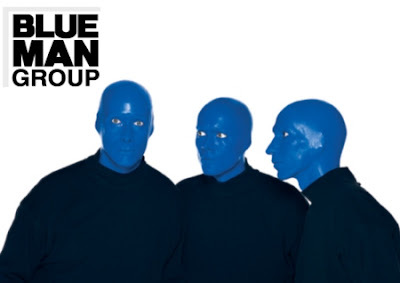 Blue Man Group – Without more information about the allegedly infringing production, I am not in a position to opine. However, BMG is a fairly popular show nationwide, so if the other show involves characters dressed in black with a head covered in blue makeup and engaging in the type of actions characteristic of BMG (lighted steel drums with colored pain flying while drumming, making music with industrial pipes, shooting marshmallows into the audience, draping the entire audience in paper – I’ve seen the show and it is interesting), I tend to think that BMG has the upper hand. World Market Center – this is the fun one to watch. Some commentators (including one attorney quoted in the article) seem to favor Cost Plus. However, on the issue of trademark infringement, I actually tend to believe that World Market has the upper hand because of the type of services involved and the nature of the consumers. World Market Center is a trade show venue – it does not compete with Cost Plus, which is a retail store. Consumers who buy at Cost Plus are not the same consumers that would attend the World Market Center. And to the extent that they do, the patrons of the World Market Center are well aware of the differences between the two and would not be confused. 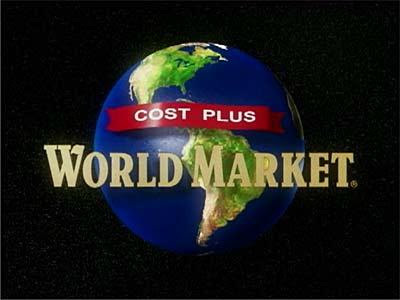 In addition, as the article notes, most people refer to Cost Plus World Market as just "Cost Plus" (I know that I do). The "World Market" part of the mark is a little on the descriptive side, and therefore, a stronger likelihood of confusion must be demonstrated to show infringement. Of course, Cost Plus is also likely to argue likelihood of dilution. Nonetheless, while Cost Plus’ long use of the mark WORLD MARKET gives it a basis for arguing that its mark is famous, I tend to question whether such famous mark has the requisite "distinctiveness" for Cost Plus to maintain a dilution action under the 15 U.S.C. § 1125(c). Even though a mark may be famous (i.e., widely recognized by the general consuming public of the United States as a designation of source of the goods or services of the mark’s owner), that alone may not be enough to make such mark distinctive (where distinctiveness refers to the ability of the famous mark to uniquely identify a single source and thus maintain its selling power).